NOW IS THE TIME to insure yourself against possible accident. When the accident has happened it will be too late. It is your duty to provide for your family—by working for them while you are able, by insuring yourself against an accident that might disable you. Nothing will help you to get well so quick as the thought that you have paid the bills in advance. 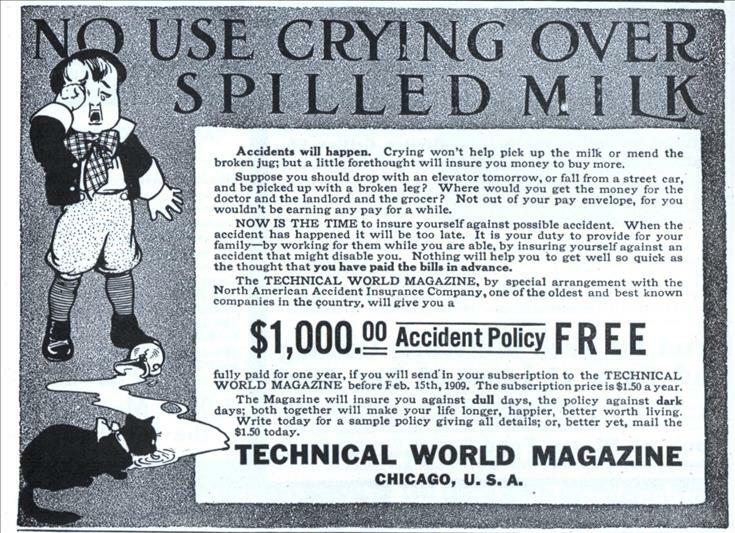 fully paid for one year, if you will send in your subscription to the TECHNICAL WORLD MAGAZINE before Feb. 15th, 1909. The subscription price is $1.50 a year. The Magazine will insure you against dull days, the policy against dark days; both together will make your life longer, happier, better worth living. Write today for a sample policy giving all details; or, better yet, mail the $1.50 today. 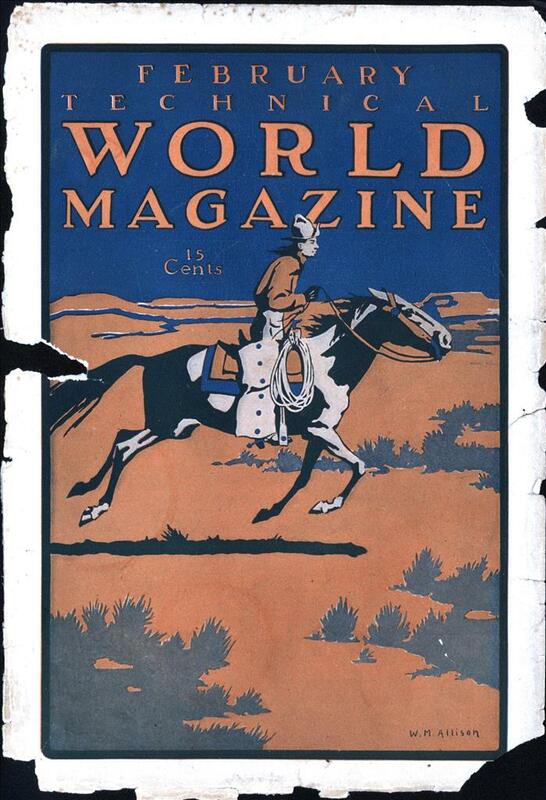 Given a choice, I’d rather have the model steam engine than a $1000 insurance policy with my magazine. As to elevators, Otis has only had two memorable crashes in the last 100 years or so – and both involved aircraft crashing into buildings and damaging the cables and such. Schindler brand elevators had a rash of problems a few years ago (I ride them almost daily so I remember.) Overall they’re extremely safe machines. Streetcar passengers get hit by idiot drivers here who ignore the “Stop when doors are open” law. It’s rare for a sober person to fall out, but not unheard of. Toronto’s coming “low floor” cars should reduce even that risk. Basically, Otis invented the safety elevator – when the cables lose tension, spring jaws fly outward, preventing the elevator from falling. Before that invention, accidents may have been more common, if the elevator was even considered safe enough for people to use (as opposed to the dumbwaiter). I don’t think the usual kind of cable-borne elevators for use by the general public (as distinct from, say, mine-shaft elevators) have ever been particularly dangerous. It’s just one of those alarmingly memorable ways to die, like plane crashes or snake-bite, that people fear entirely out of proportion to its likelihood. This seems to be one of those problems that has been completely licked because when was the last time you heard of an elevator accident?